Juan Ramón Bautista Liébana is the National Spanish Adviser and is also the education attaché at the Embassy of Spain in Wellington. As the National Spanish Adviser in New Zealand, he is part of the Centre for Languages advisory team and therefore linked to the New Zealand Ministry of Education. He has a Master´s Degree in Second Language Education and a PhD in Education, and has worked as a language teacher, a teacher trainer and a language adviser in Spain, Ireland and the USA. 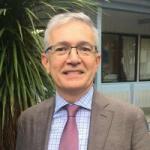 Juan's role is to support the promotion and development of Spanish language education in New Zealand. STANZA is a subject association which provides support for teachers and students of Spanish in New Zealand. Visit www.stanza.org.nz. This email group for teachers of Spanish is an excellent source of information and resources. It is also the primary medium through which organisations advertise opportunities, scholarships, grants and other important information for teachers and students. To register, email the Spanish National Adviser. NZALT is a professional network of language teachers with over 500 members. It runs a number of initiatives designed to support teachers in the classroom including competitions and professional development opportunities. To join NZALT visit www.nzalt.org.nz. The Spanish National Adviser provides teachers with information on teaching resources and sustaining Spanish language programmes. ¡Sí! An introduction to Spanish. Provides multi-media materials designed for teachers and students who are new to language learning. The series is designed for year 7 and 8 students and supports Level 1 and 2 achievement objectives in Spanish. RedEle (red electrónica de didáctica del español como lengua extranjera). A public resource that the Ministry of Education of Spain offers to teachers interested in teaching and learning Spanish worldwide. Redele web page offers different materials and resources published by the international offices of Education of Spain in different countries. Instituto Cervantes and useful resources that the Institute offers. DELE examinations for those interested in the examinations the Ministry of Education of Spain and Instituto Cervantes offer, contact Cristóbal. ELEO is the digital library that the MECD makes available to Spanish teachers and users of its 50 Educational Resource Centres abroad. Register by following these instructions. Letras Latinas Community Library, the only Spanish and Portuguese library in New Zealand, holds over 6.300 volumes, including 1.300 for children and young people. Information and catalogue can be sent upon request. Letras Latinas also organise music and cultural events, book presentations with their authors, readings and intercultural conferences among others. The Learning Languages Community is a portal to professional learning opportunities, professional support for the New Zealand Curriculum, pedagogy, assessment, resources and key links for language teachers. Learning Languages publishes regular newsletters to keep language teachers informed about important deadlines and events. RedEle is a public resource that the Ministry of Education of Spain offers to teachers interested in teaching and learning Spanish worldwide. A scholarship is currently available to New Zealand teachers of Spanish through Future Learning Solutions to Salamanca, Spain. 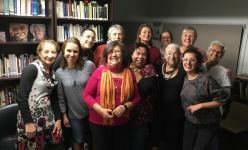 As part of the scholarship, teachers of Spanish participate in a two-week course on language enrichment, methodology, culture and special topics at a Spanish University. Contact the Spanish National Adviser for more information. Find out about the Salamanca Programme here. The Spanish Ministry of Education offers positions to New Zealanders to work as English Language Assistants for a school year. Read more. AFS Intercultural Programmes provides teachers with an opportunity to undertake long or short term immersion experiences in Spanish-speaking countries. Visit the website.